With game developers around the globe bracing themselves for one of the biggest gaming conferences in the world, GTArcade is pleased to announce that we will be packing our bags and heading to San Francisco to attend the iconic GDC this year! At GDC, GTArcade will mainly be promoting and discussing its popular League of Angels series. 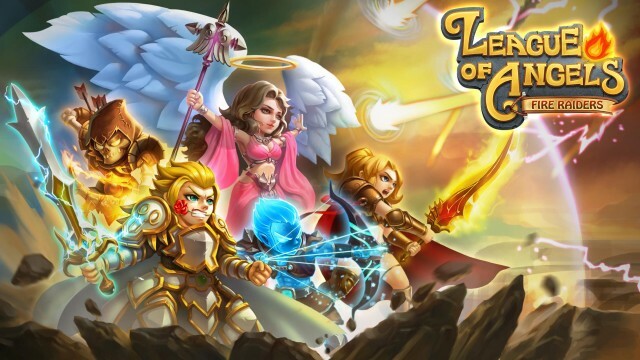 League of Angels - Fire Raiders, GTArcade's upcoming mobile sequel, will be the hot talk of the conference as the game is currently in open beta and has been well-received in test markets such as Canada and the Philippines. "The game will be available to players everywhere in a couple of weeks," said Global Operations Director Frances Sun, "and we want everyone to know how we have expanded the LoA universe. The feedback so far has been great, but how the game is received here at GDC will definitely be helpful as we move forward with improvements." Lately, rumors have been circulating about GTArcade releasing another new title not associated with the League of Angels series, but so far nothing has been confirmed. Frances Sun elaborates: "We are always working on new games, and there is one project that has been getting nearer and nearer to getting ready. I’m not going to make any promises, but new info might pop up during in San Francisco. After all, GDC is the perfect setting for exciting announcements!" Whether or not a new game is announced remains to be seen, but one thing is certain. If you find yourself at GDC, stop by the GTArcade booth (#2143), you will most certainly be rewarded with some awesome new League of Angels gifts! GTArcade looks forward to seeing you all in San Fran, at GDC 2015. GTArcade is a leading developer and publisher of free online games. With its guiding principle "sharing simple joy", GTArcade has developed award winning MMORPG and strategy games for browser and mobile platforms around the world. Visit www.GTArcade.com today and play all our games for free to partake in the social gaming experience of a lifetime!